Alanna Hatz first popped up on Quality’s radar in October of 2007, and we have been working with her and the staff at Premier Timeshare Resale ever since. Alanna got her start in the timeshare world at the Lawrence Welk Resort in Palm Springs California in 1993, when her father suggested she join him on the sales team. Little did she know this would become a career that would span decades. She spent several years in Palm Springs before moving to Whistler, British Columbia, Canada. She thought she was going there for a job, but other plans were in the works; it wasn’t long before she met and married her co-worker and best friend, Michael Hatz. Although she spent most of her resort years as a Sales Manager, and TO, she has won numerous Sales Agent of the Month awards. She can summarize her entire professional career as, “Sales, Sales, Sales “, and says she was taught by one of the best in the biz, her dad Blaine. 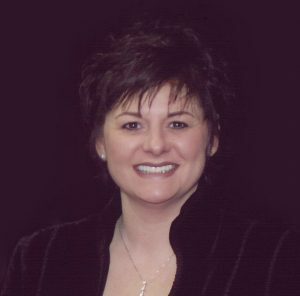 Alanna started Premier Timeshare Resale with her business partner Kelly Marshall in Park City, Utah almost 10 years ago. They are Licensed Real Estate Agents with RE/MAX Associates in Park City. Alanna specializes in Marriott properties worldwide, but obviously has a substantial interest in Park City. Alanna has also has extensive knowledge of all the premium brand resorts including Hilton, Hyatt, and Westin. As a Member of the National Association of REALTORS®, the Licensed Timeshare Resale Broker’s Association (LTRBA), she is proud of her affiliations and boasts an “A+” rating with the Better Business Bureau. Alanna was born and raised in Alberta, Canada, but this farm girl has done some traveling, primarily in the USA, Canada, and Mexico. She and her family discovered Park City while on a timeshare exchange, and packed up and moved the next year. Park City is a 4 Season resort town, with so much to offer. Family time is treasured by this busy lady, and she has been married to Michael for 16 years. Michael is also a RE/MAX agent, specializing in residential properties. They have 2 children, Payton Rylee and Westley. West plays hockey year round and Payton enjoys putting on her Cowgirl boots and competing with her two horses. The family travels to many resort areas for hockey tournaments and rodeos. Their most recent trip was to Aspen, CO. Not big fans of flying, the family likes to travel in their RV. “We travel to our destination in our RV and then stay in a beautiful resort. Last year it was the Marriott’s Newport Coast Villas in California. We love the outdoors, our animals (we have 8 currently), most sports, music, and good food (“we are great cooks”). Alanna also enjoys volunteering with local outreach programs, which she does mostly through her church. She has a strong Christian faith, referring to herself openly as a “Jesus Freak”!